MyTopFace is always looking for new beauty products, treatments, and places. This time our beauty expert is interviewing Zina – certified international skin care therapist, and receiving Oxygen Facial Treatment at Zina Skin Care Spa. 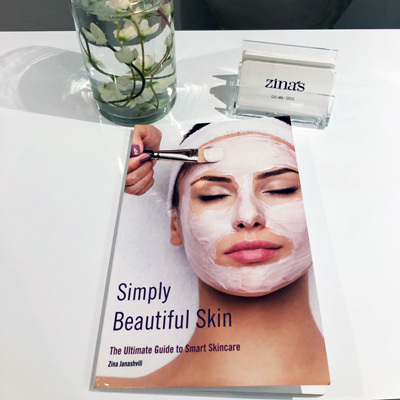 Zina has a pharmaceutical background and she creates unique customized facials at Zina’s Skin Care Spa. Each client receives a tailor-made treatment depending on the skin type and condition. – Zina, why did you choose to become a beauty esthetician? I began my career as a pharmacist in Georgia. During that time I was working as a pharmacist, I became interested in the science of skin care. – How did your beauty journey begin? Did you dream to have own spa? I studied different methods of skin care with leading experts and dermatologist of that time in Georgia. When I moved to New York I continued to study at the Christine Valmy international Skin Care school, who was led by world-famous cosmetologist Christine Valmy, by her support I got a chance to expand my knowledge, experience and became skin care specialist. After a while, I continued to education at one of the prestigious school in Europe and I became a CIDESCO diplomat and was certified to practice as a beauty expert, Skin Care therapist in 54 countries. My dream is to combine my pharmaceutical expertise and creating my own skin care product lines. – In Zina Spa you provide Oxygen Facial Treatment – can you tell us more about it? Zina’s Skin Care provides Intraceuticals Oxygen Treatment for 12 Years. 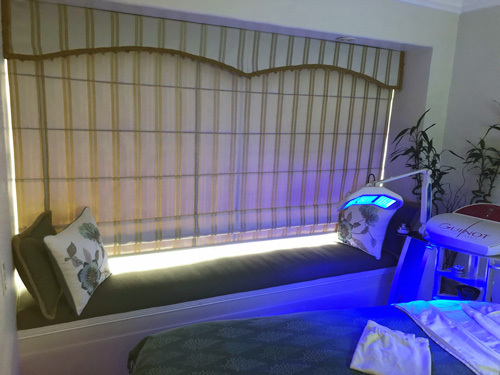 Hyperbaric Oxygen technology’s a therapeutic oxygen infusion delivered with a rejuvenating serum, serum base is hyaluronic acid, vitamins, and antioxidants which helps to stimulate collagen and elastin. 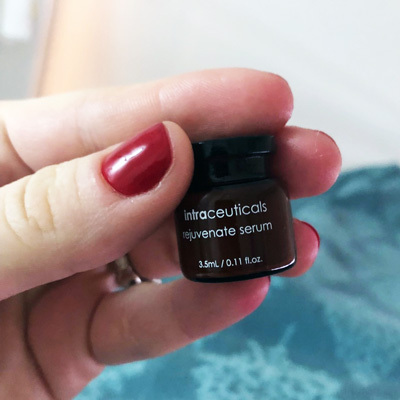 Oxygen lifting treatment perfect for all skin, Intraceuticals rejuvenate serum contains vitamins and antioxidants help to deeply hydrate, lift, firm and tone. After the treatment skin looking and feeling younger and healthy. – Why did you choose oxygen treatment for our beauty expert skin? Winter time skin comes more dry and dehydrated. Oxygen treatment immediately hydrating and penetrating the skin and leaves skin looking and feeling healthy. – How often should people do oxygen treatment? We are recommended to do a treatment every 3 weeks. – Do you customize all facials for different clients? With 25 Years experience, I’m able to combine my pharmaceutical knowledge, global education, and understanding of cutting-edge techniques to provide each of my clients with a regime tailored to their individual needs and goals. – Is there anything you can’t do after treatment? After oxygen treatment you can even apply makeup, it will look more smooth and beautiful. – What are your skin routine secrets? My skin care rules are Cleanse, nourishing and protection. – Do you have your favorites homemade recipes for skin? Clear Glycerin + Vitamin E + Vitamin A oil + one ampule of Vitamin C. Mixed well. – You wrote a book, what is it about? Last year I finally finished my book, “Simply Beautiful skin”. For a long time, my clients have asked me to write a book about my experience. With many years of study and practice in the business of beauty, I have found that when people understand the part that science and biology play, it’s natural for them to want to incorporate healthy behaviors into their lifestyle to capitalize on what the professionals provide. I show how simple and holistic skincare can be and teaching how to easily driving your own beauty bus. MyTopFace expert has never tried such treatment, but the result surpassed expectations. 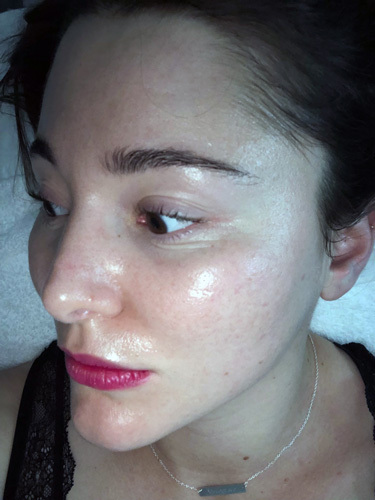 Expert’s skin looked hydrated and youthful right after the procedure. Oxygen Facial Treatment is a non-invasive skin hydrating and rejuvenating treatment used by many celebrities, including Madonna. This facial changes the cellular structure and stimulates the regeneration of new cells and the production of collagen and elastin.